A: We charge by weight using scale equipped trucks. This allows us to weigh material directly at your home or business, providing a level of transparency that the volume based alternative just can’t match. Q: How accurate are the truck scales? A: Our scales are certified by Measurement Canada and weigh material with over 99% accuracy! Q: What if my material is wet/heavy? A: Although ‘pricing by weight’ may seem like a negative when it comes to material that is wet/heavy, the reality is that all removal companies take weight into consideration to cover the cost of disposal. Our on-board truck scales allow us to be up front about how we calculate these costs as oppose to guessing based on volume. Q: Do you charge extra for on-site loading and sorting? A: Absolutely not. We do all the sorting, loading and clean-up for you at no additional cost. Our pricing also includes all travel, disposal and recycling fees, making the disposal process refreshingly straightforward! Q: Where does my junk end up? A: Items are sorted for proper disposal, recycle, or donation whenever possible, keeping unnecessary material out of the landfill. Q: What if I only have one item? A: No problem! Whether you have a little, or a lot, we can handle almost anything you’d like removed. Q: What time will the crew arrive? A: Appointments are scheduled within a 2 -hour time window for arrival. Your truck crew will also provide a 20-30 minute heads up call prior to showing up. Q: Do I need to be present at the time of pick-up? A: Nope! Our truck teams can confirm visit details, estimate the weight of your material and accept payment, all over the phone. We’ll even email you a receipt when we’re finished. A: If you’re looking for a specific day & time, we reccomend booking at least 1-2 days in advance. A: Yes! Atlas Junk has full liability and WCB coverage so you can feel comfortable with our team working in your home or at your business. 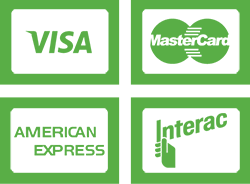 A: We can accept Interac, Visa, MasterCard, American Express or cash on site. Email invoicing is also available for commercial clients.